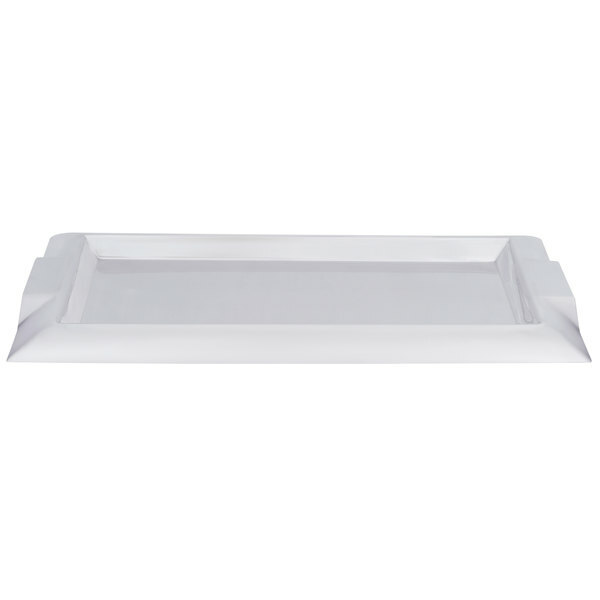 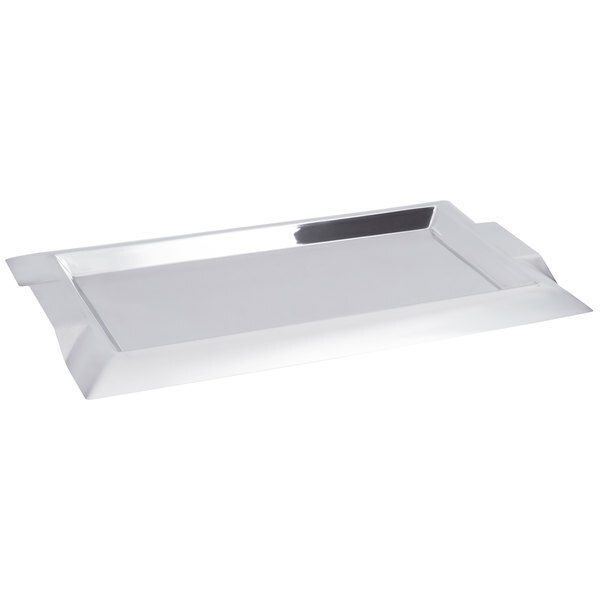 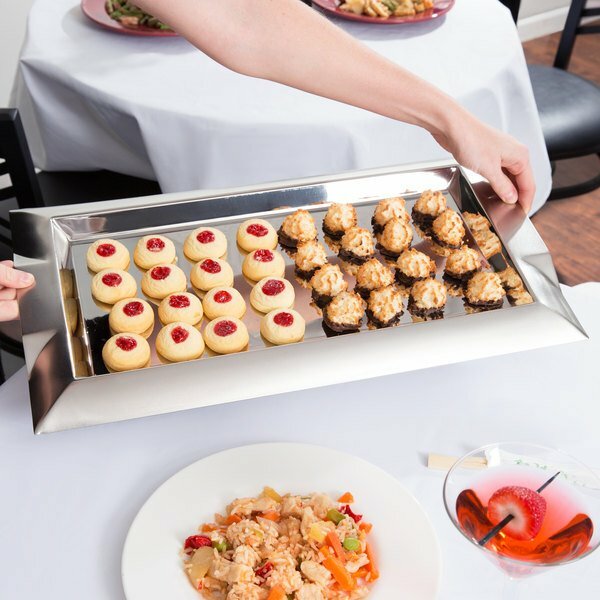 Instantly modernize your restaurant, buffet, or catered events with this eye-catching Vollrath 82095 large rectangular tray! 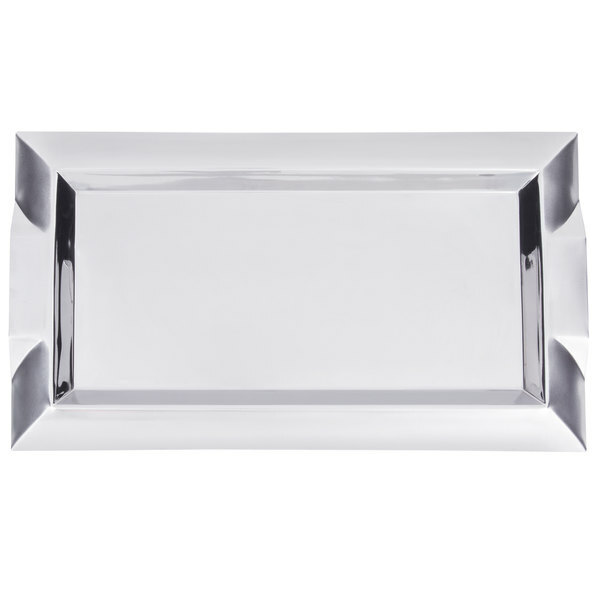 Designed from heavy-gauge stainless steel with a satin-finished rim and mirror-finished interior, this tray presents a strong visual contrast, perfect for giving your most popular appetizers, hors d'oeuvres, and desserts a memorable presentation. 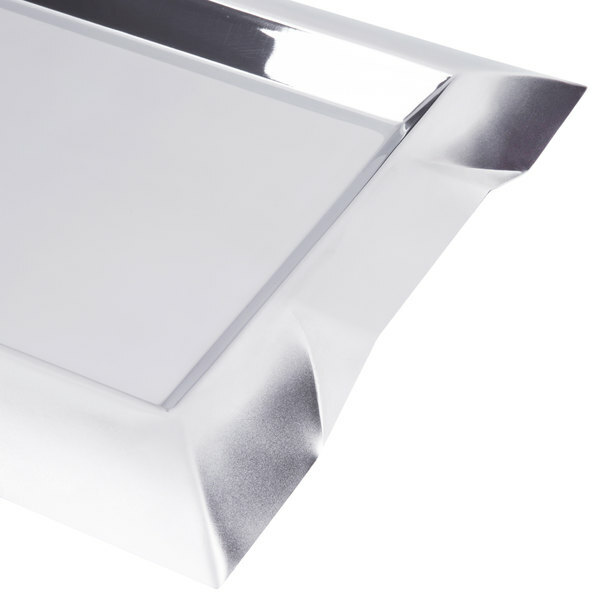 And, thanks to its unique geometric styling and one-piece design, its integral handles offer safer carrying and comfort without taking away from the contemporary design. 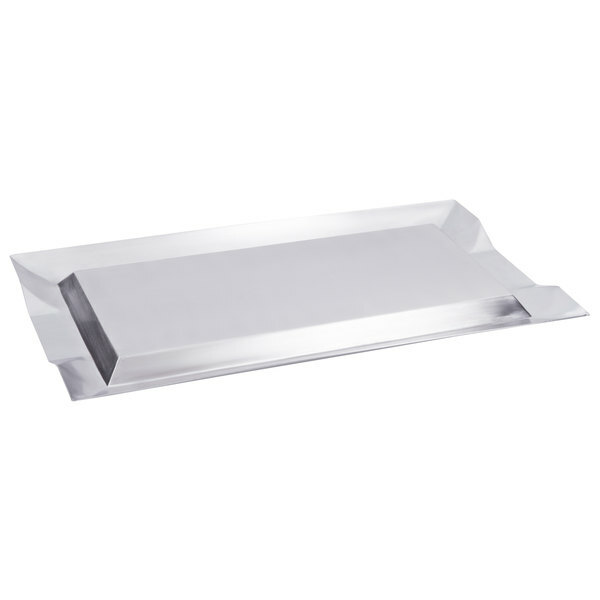 Each 82095 large rectangular tray is highly resistant to corrosion, pitting, and rusting, and is dishwasher safe for easy cleaning.